Style & Modesty understands how frustrating it can be when trying to shop for a right pair of jeans. Options that are normally available are too skinny or too tight, which is contrary to dressing with modesty. Alhamdulillah, we are excited to announce that we’ve got our first pair of Modesty Jeans, exclusively designed for Style & Modesty. Which are flared, loose fitting and comfortable pair for everyday wear; which will Preserve Your Modesty. 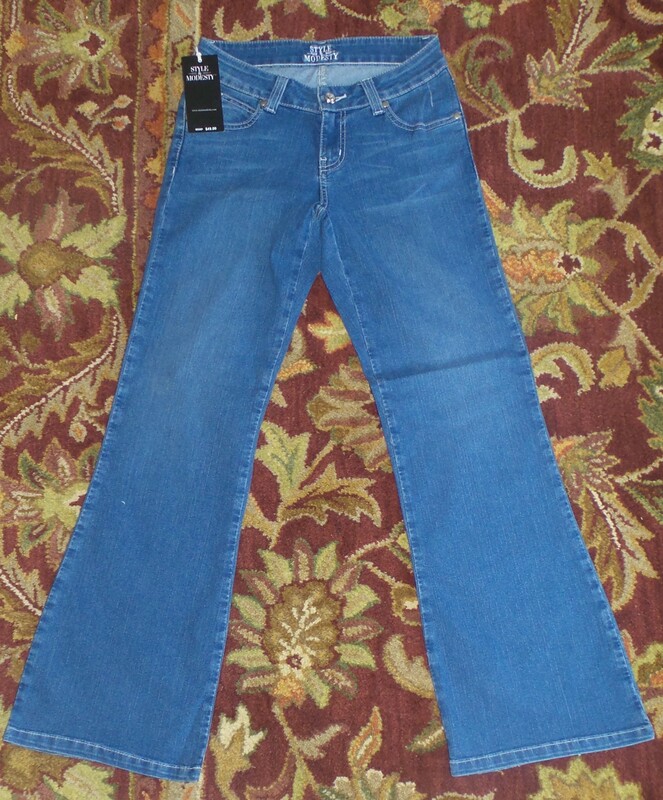 Modesty Jeans comes in 5 sizes: 4, 6, 8, 10, & 12. Check out your Modesty Jeans today. This entry was posted on Saturday, May 7th, 2016.